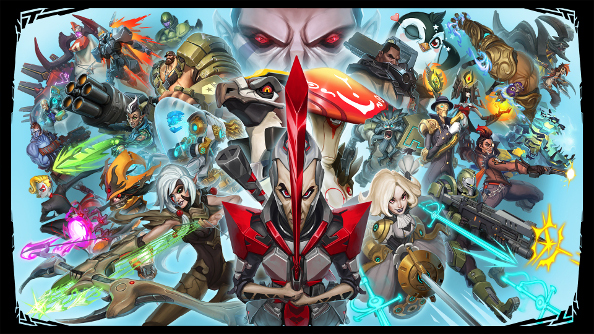 You might have thought Battleborn was dead after seeing it go down to rock-bottom prices not long after its release, but Gearbox aren’t throwing in the towel just yet. They’re currently cooking up a massive update that will overhaul the game, making it a better experience for newcomers and veterans alike. Check our list of the best FPS games if you can’t get enough of the shooters. One of the upcoming update’s headline features is the ability to play as any of the game’s 25-strong roster right off the bat. Instead of trickling them in, you can get right down to figuring out who you’re going to main, while character unlocks are replaced by some lovely skins for your favourites. Another big change is for veterans. The draft will let players take it in turns picking and banning heroes before the start of each match, MOBA-style, creating the perfect composition and making sure your team has the heroes to counter the enemy. There will be a stream onThursday, December 8 at 2pm PT (5pm ET), on the Gearbox Twitchchannelto show the update off. That’s probably when we’ll hear about the release date too. All 25 Core Characters Unlocked! 25 badass playable characters, no waiting! You’re eager to find your favourite, so get to it! With this update, the core 25 characters will be unlocked for all players after completing the Prologue. What about the character unlock challenges? These challenges now award a brand new skin upon completion! We’ve also adjusted several challenges to be more attainable.